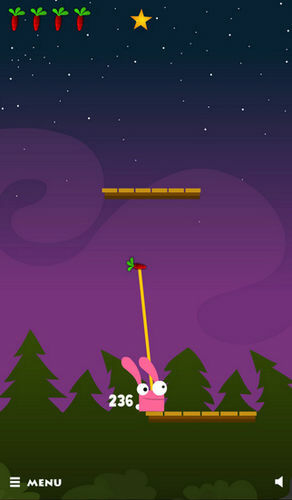 How high can you climb with your bunny in this new casual highscores game suitable for the whole family? Submit your score at the end of the game to see who is the best! You play against people all around the world! The game is 100% free and does not contain any in-app purchases! 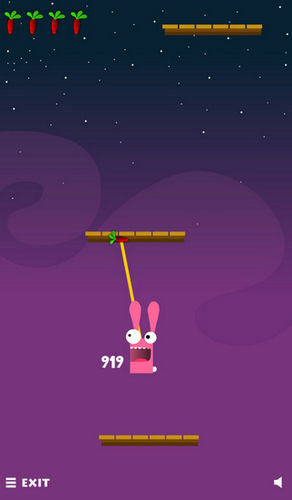 How to play: Tap anywhere on screen to throw the rope, hit the platform above you to get on it! Get as high as possible! Watch out, you have 5 ropes available! 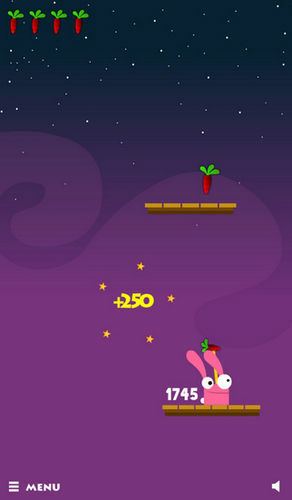 Collect the carrot symbol for 2 extra ropes and stars for extra 250 scores! * 100% free full version + no In-App purchases! 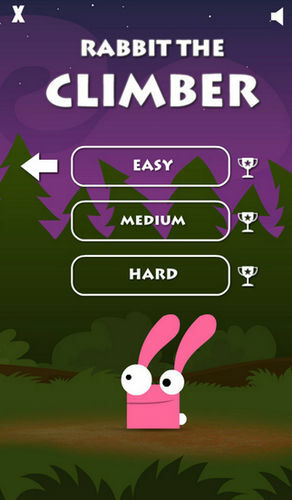 Enjoy and have a nice time playing Rabbit The Climber! V protisměru HD brainz.cz s.r.o.